You will gain confidence on the road and by receiving our FREE online theory training you will be fully prepared for your theory test too. Modern cars with guaranteed driving on your first lesson ensure you go from beginner to ready to pass in the shortest time possible. Still not convinced? Read some of our Facebook reviews below! I just passed my driving test with the massive help of gary. I HIGHLY recommend him to anyone in the hastings/bexhill area, he was great from the start, and only had 20 hours.Great person, great instruction and all round great guy! Defo recommend skillz2drive and even more gary ! Thanks guys. Exceptional driving school! From booking to passing was slick, professional, relaxed and so friendly.Will was absolutely amazing! Very understanding & patient and made learning so much fun!Thank you so much Skillz2Drive! Mark is a brilliant instructor, very patient and methodical in his approach. He will bring the best out in you.I can't recommend or praise Mark enough!A big thank you to Mark for accommodating my lessons and test at very short notice! Great instructor. Mark is really patient and relaxed when teaching you. Thanks again for all your help.5/5 would definitely recommend. At Skillz2Drive all our instructors are fully CRB checked and vetted. Our fleet of modern dual control cars, are all the newest models. Train to become a Driving Instructor! Skillz2Drive Driving School are looking for enthusiastic, motivated people to join our team of driving instructors. We provide the training, all you need to do is call us to begin your exciting new career. Choosing a driving school can be a daunting task; it could mean the difference between passing and failing your test so it takes careful consideration. You need to make sure that your driving instructor is fully qualified and trustworthy to give yourself the highest chance of success. 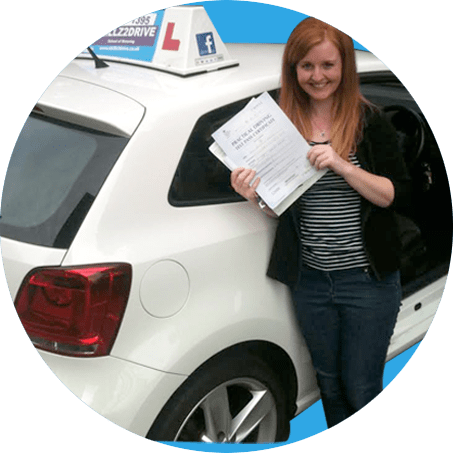 You will find that a good driving instructor will make you feel more comfortable when on the road, inspiring confidence whilst also giving you the boost you need to feel relaxed behind the wheel. Skillz2Drive is a trusted and well established driving school, run by Mark Wilkins. We operate within the Hastings, Battle, Rye and Bexhill areas and provide the very highest quality tuition. We are very affordable, making us the ideal choice for student drivers. Here at Skillz2Drive Driving School, we are passionate about what we do and aim to help you pass your test with flying colours as well as teaching you various skills and imparting knowledge that will serve you for a lifetime. We have years of experience in the industry, making us a top choice in the local area. We understand that having your own car can give you a new sense of freedom, and for many it is a milestone that will always be remembered. If you want to pass your test with confidence, with an instructor who is next to you every step of the way, then Skillz2Drive Driving School is certainly the choice for you. It doesn’t matter whether you are a student looking to pass your test or an older person who never got the opportunity to drive; we have a track record for success so you know you can count on us. Here at Skillz2drive we offer the very best in intensive courses at the most competitive prices and we pride ourselves on our very high first time pass rate. We have three standard intensive courses to choose from. Once our experienced driving instructors have completed an hour long assessment lesson we can help you decide how many hours would best suit you. The length of time to complete your intensive course can vary from 1 to 8 weeks, this depends on if you have passed your theory test, along with the waiting times for the practical driving test, but we will try to keep this down to a minimum. All pupils must be in possession of a current provisional driving licence before the course commences. Your first step in learning to drive is to get your provisional driving licence. To do this, you should visit a Post Office or DVLA online. Your application will take around three weeks to process, so if you are eager to learn to drive soon after your 17th birthday then make sure that you apply three months before. This is completely allowed, so don’t worry about applying early. The next thing to do would be to commence your driving lessons. The average person takes around 43 hours when learning how to drive. However this is with some extra practice on the side. If you don’t want to book this many lessons then you could just book 20, however you would need to allow yourself a lot of practice time between lessons. Your theory test will come in two halves. The first half is a 50-question multiple choice test. To pass, you need to achieve a score which is 43 or higher. For the second half, you will take a test on hazard perception. You will be shown 14 video clips which show various hazards; you will then score five points for every clip. The points you score will depend on how long you take to respond. The top score you can get on this test is 75; however you only need to score 44 in order to pass. If you want to pass your theory test, then you need to complete the two halves. If you pass one half but then fail the other, you will have to redo both parts of the test again. You will take your theory test on a computer, which is very easy and simple to use. You will also find that the DSA provides a two pack CD Rom collection that has all the questions you’ll need to pass, plus the clips, so you can help to prepare yourself beforehand. You will take your theory test at a test centre, and this test must be completed before you commence your practical test. Your Theory test can be booked at www.direct.gov.uk/motoring, or you can book it by telephone at 0300 200 1122. Your practical test can be booked at www.direct.gov.uk/motoring, or by calling this number 0300 200 1122. Before you start driving, you’ll need to perform an eye test. You’ll then be tested with some questions about vehicle safety. After this, you’ll be tested on your driving ability; this includes two questions about reversing and an emergency stop. You should note however that only one out of three students are asked to do this. The driving test will only last around 40 minutes. During this time, your instructor will take note of various skills that determine your driving ability. You are allowed to make up to 15 minutes of faults before you fail the test, however if you make more than 16 minutes then you have a guaranteed fail. If you perform a dangerous fault, then you will automatically fail. Before you start your driving test, you should make sure that you bring the following documents. It is also a great idea to bring your confirmation letter, which states your pass date and time in case there are any questions. The more information you can bring with you, the better, as it can really help to speed up the process when obtaining your license.